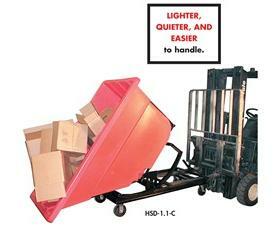 Lighter, Quieter and Easier to Handle Than Steel Hoppers! Molded Polyethylene Bodies are Supported by an All-Welded Steel Framework. 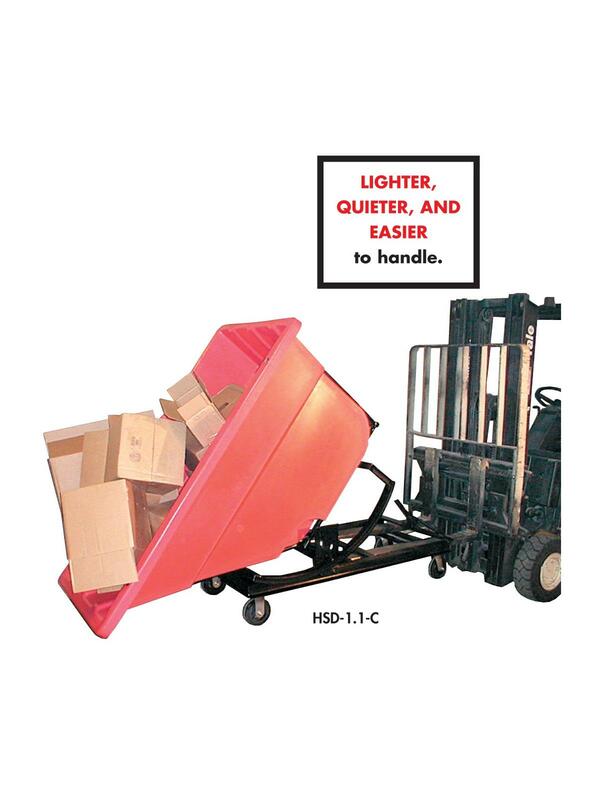 Hopper units dump 45° below horizontal using the pull handle. Available in the following colors: Gray, Blue, White, Red, Green, Yellow, Black or Orange. 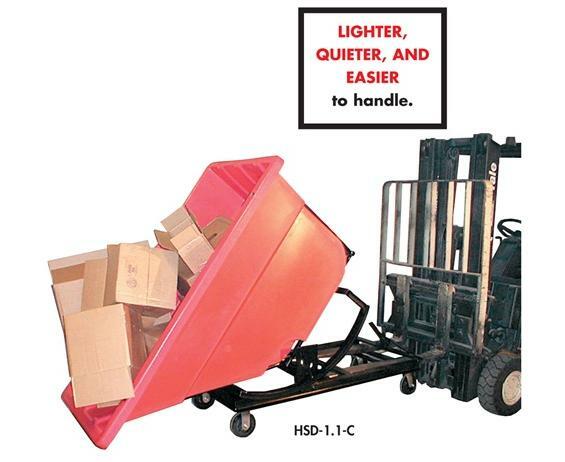 Tilt Truck lids also fit these light, easy-to-use self-dumping hoppers. Optional caster assemblies also available - request model # with casters when ordering. FOB Shipping Point. 71 x 31.5 x 46"71 31.5 46"